I recently spent some time in Chicago visiting the Monogram Design center. When there, I was introduced to the world of the smart home. 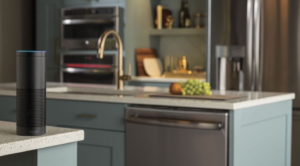 Their products were designed to connect with a system that remotely turns on and off the kitchen range, dishwasher and can even pre-heat your oven while you are stuck in traffic. The smart designers are finding that smart technology is raising the overall IQ of today’s living spaces. Monogram aroused my curiosity as to what other products are out there that can make today’s busy schedules more manageable. It seems that smart home devices fall into four categories: lights, cameras, locks and thermostats. 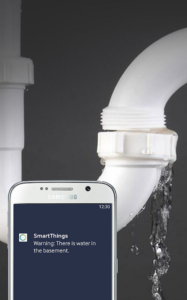 Samsung says that by 2020 nearly all products will be connectable in some way.Imagine having a device that will alert you to a leak before a full on disaster occurs? These devices are used by multiple people and are operated by some sort of app, voice control or screen. 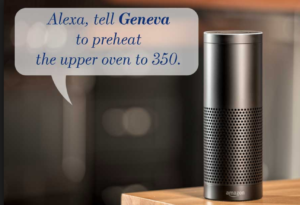 Geneva is the voice controlled assistant to Monograms suite of connect appliances.It is available in both google assistant and Amazon Alexa. The overall design of these products puts a smile on the designers face. In the past, you’d have huge TVs or huge home ventilation systems, but these new devices are the size of a small kitchen appliance or an I-Pad. 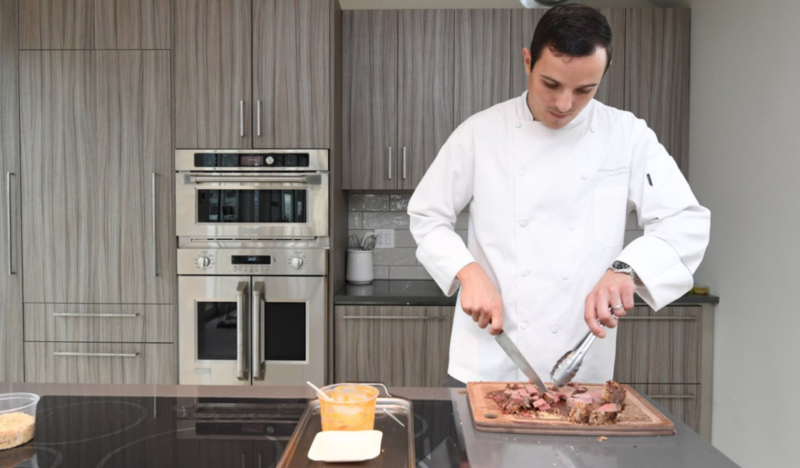 So if you can’t afford the luxury of Monograms Chef John then settle for the design of a smart home product.As new smart home devices become capable of new skills it will seem less odd, less sci-fi to hand over our everyday tasks to them.The future is now.